Welcome to the Fidalgo Yacht Club website. and sharing a deep appreciation of the Pacific Northwest's marine environment. 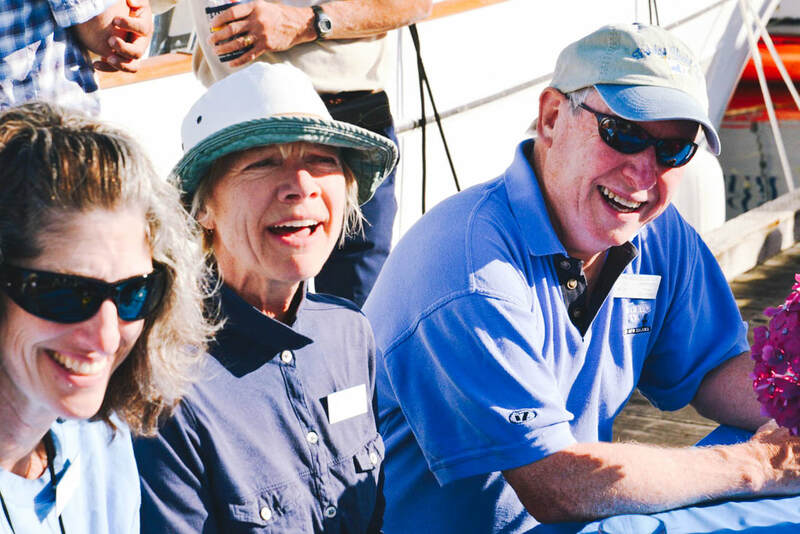 A yacht club isn’t just about cruising; our land-based get togethers are filled with monthly dinners featuring interesting and knowledgeable speakers, bar nights on Saturdays, fun parties with good food and lots of laughter, and club exchanges with other yacht clubs. 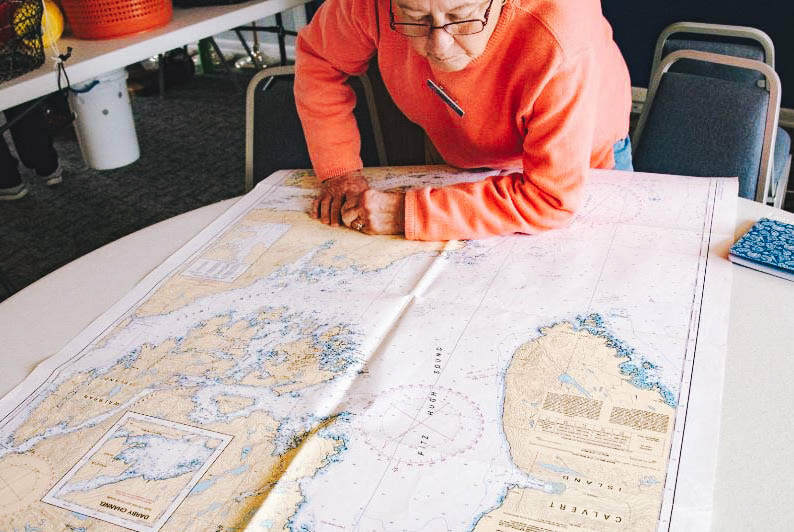 Fidalgo Yacht Club is a “village” whose members share their combined knowledge of navigation and boat handling with each other along with tips on provisioning, docking and anchoring, and sometimes where the fish are biting! 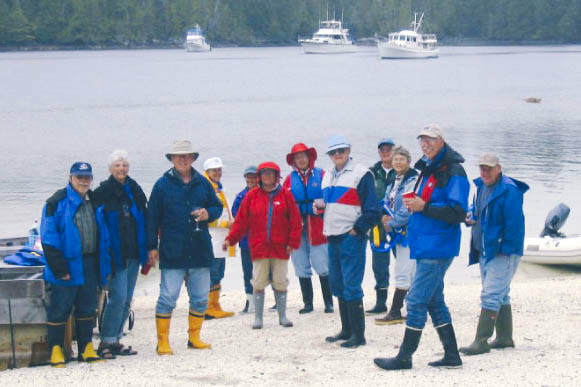 Whether it is picnicking on a rocky beach on our way north or waiting for a halibut to bite in the Broughtons, Fidalgo Yacht Club cruisers always anticipate fun adventures as they pull away from the dock in Anacortes. Several of our members head for Alaska each year, returning with wonderous tales and beautiful pictures. 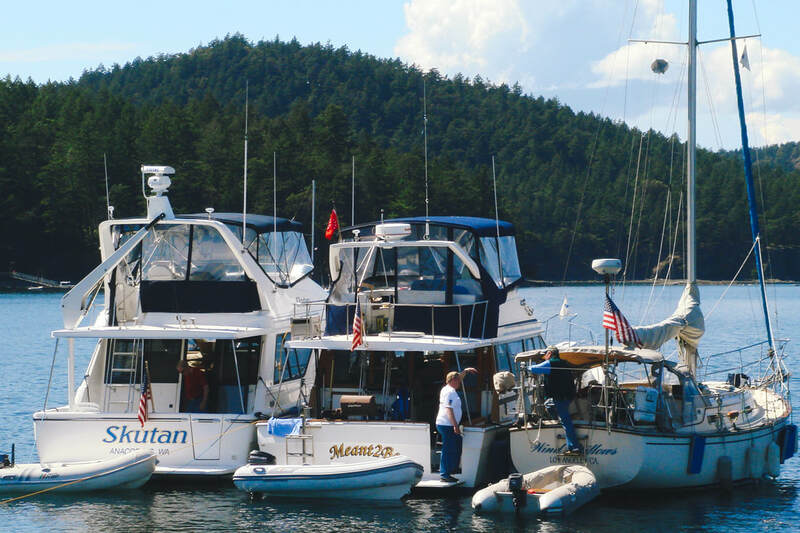 Fidalgo Yacht Club is known for being a “cruising club,” and we take full advantage of the opportunity to join with our fellow members to explore the San Juan’s, British Columbia’s Sunshine Coast and the South Sound. 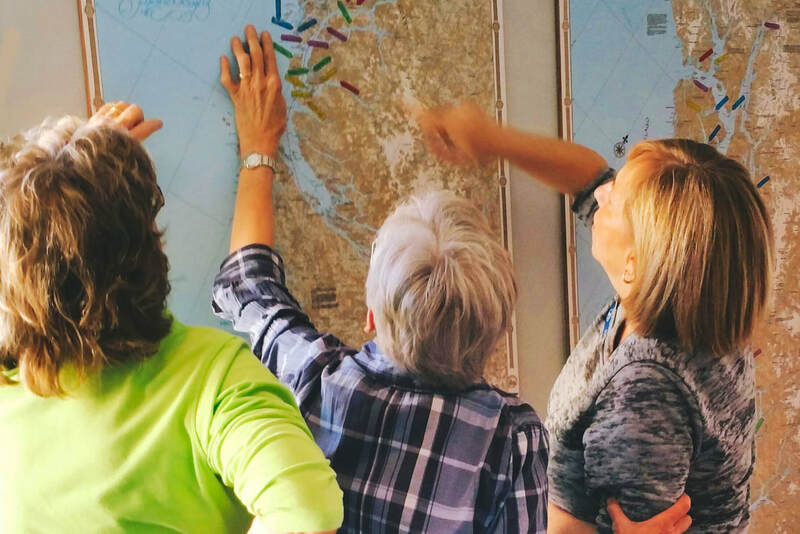 Informal cruises take us further north to Desolation Sound, the Broughtons, BC's north coast, Vancouver's west side and SE Alaska. 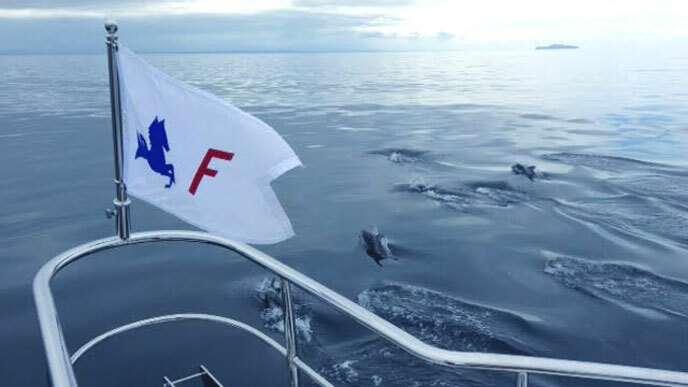 When we are out cruising, our Fidalgo Yacht Club identity brings us fun meet-ups with other yacht clubs close to home as well as in British Columbia and as far away as Alaska. I'd like more information about joining. We hope you will explore our website to learn more about FYC.